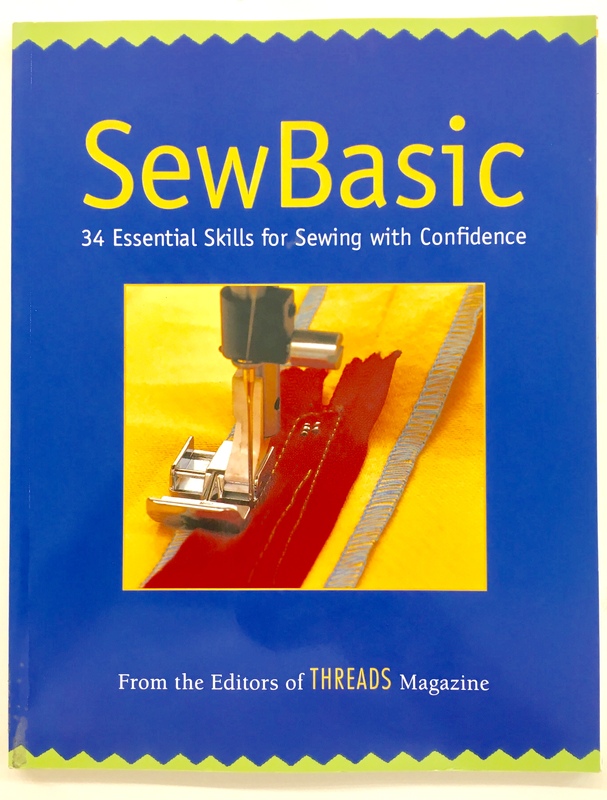 Originally published in 2002, Sew Basic: 34 Essential Skills for Sewing With Confidence has been a good standby for the modern sewer since we began teaching sewing class in Chicago in 2004. 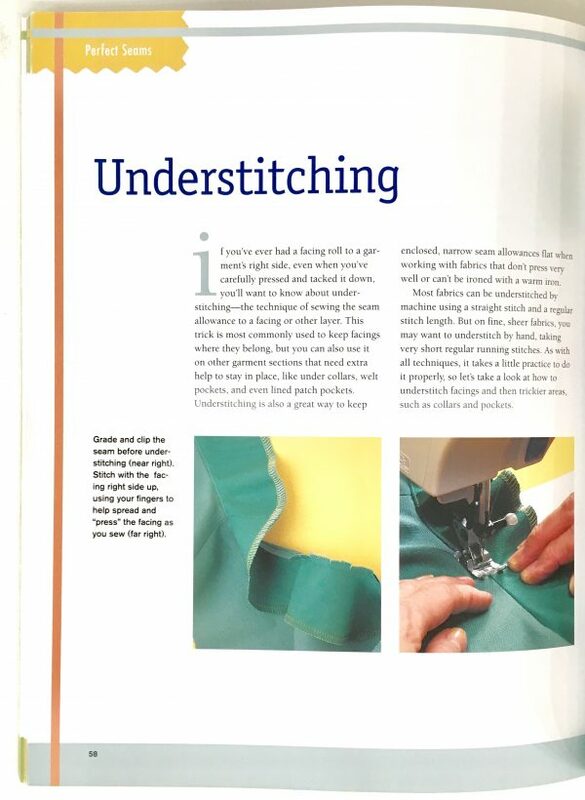 Published by the Taunton Press and written by the editors of Threads Magazine, Sew Basic lays things out slightly differently than the older books we recommend. If you are trying to learn to sew by using a book from before 1985 and certainly before 1975, it is probably going to assume you know more than you may about the basic world of sewing. More people had access to Home Economics programs in school and there was just more of a sewing foundation to the culture at the time. 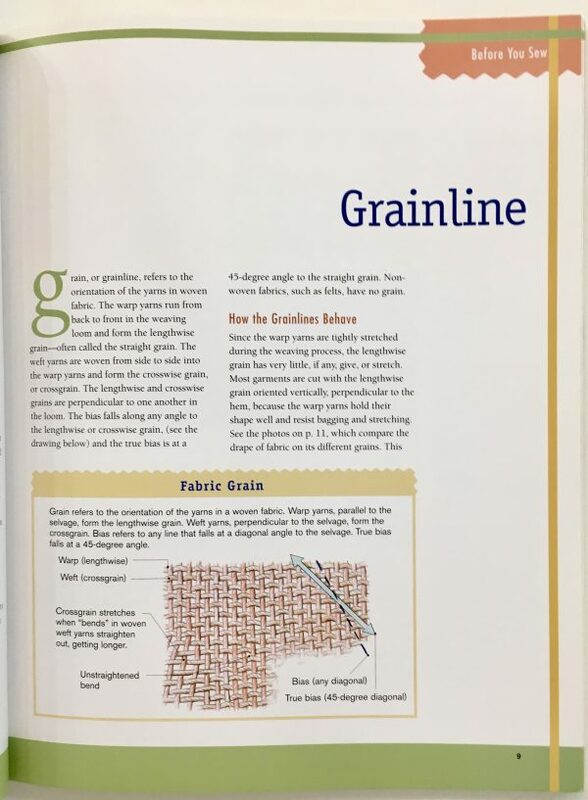 Before You Sew walks you through the basic setup of the fabric store, introduces concepts like grainlines, marking, fitting, pattern layouts, cutting, and basic sewing machine maintenance. 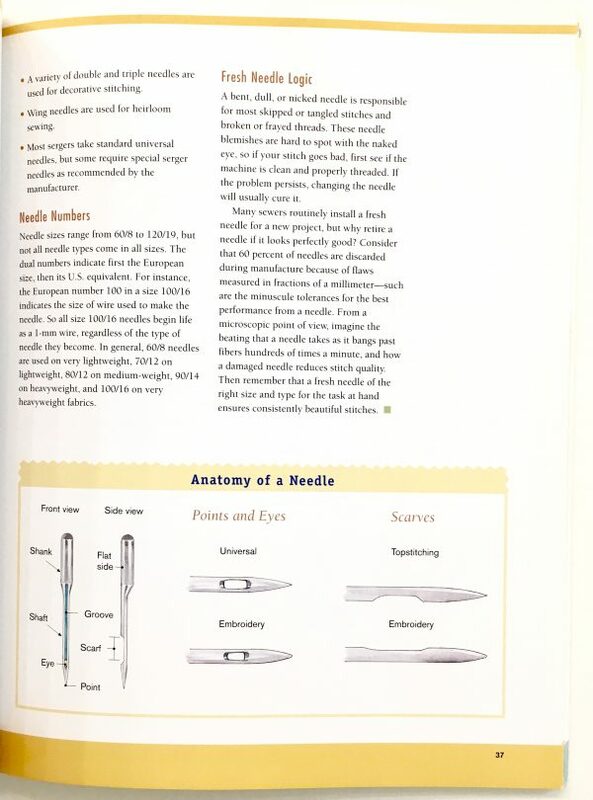 Needle And Thread helps you understand the differences between sewing needle types, what kinds of pins you need, and what tools are necessary. Perfect Seams shows you step by step how to start to get more professional results by introducing basic construction concepts like staystitching, easing, directional sewing, seam types, pressing, and utility stitching. It also walks you through a basic tutorial on zipper insertion, gathering, and bias… among other things. Overall, we recommend this book highly to all beginners who have had one project or less under their belts. As much as we love older vintage manuals for the beginner, sometimes the tone and approach can be a little overwhelming for the new sewist just coming into the craft. The only thing close to a warning we have for people about Sew Basic is that you will outgrow it fast – once you have gone through the core concepts, there isn’t anywhere left to go in these pages – it will be time to upgrade. But in the meantime, you will get a LOT of solid information that will pave your sewing road well. It is definitely worth the US$12-18 you will find it new, but has become so ubiquitous that finding copies at thrift stores and used generally isn’t a problem either. Buy it, use it, and really try to absorb what the editors at Threads have put together for you. They’ve done a good job here. It certainly belongs in the hands and on the shelves of every good sewist just starting out.